Unsure of where to start? You are in the right place. The Standard Course is one of our more popular intensive courses we offer! 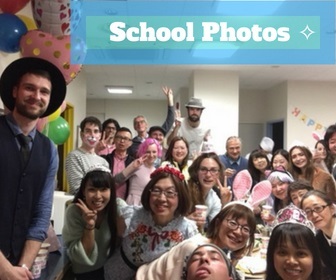 This course consists of a challenging, yet flexible curriculum that takes into account students' diverse needs in teaching them how to practically use Japanese through exercises which connect the four skills: reading, writing, listening and speaking. By providing an intensive curriculum with a strong focus on accommodating our individual students, this wonderful program brings solid results within a short period of time. WAHAHA offers two type of Standard Courses; a Private Course, and a Group Course. One particularly unique aspect of WAHAHA is that our Group Classes are kept small; between 2 to 4 students maximum. That means you will never be lost in the crowd and get the personal attention you need no matter which course you sign up for! Please see below for which one is best for you. The aim of this course is to improve listening, speaking, reading, and writing skills in a group environment. Studying with same-level peers allows for a variety of practice tasks that would otherwise be impractical in a one-on-one learning situation. Grammar and other fundamentals are studied from Monday through Thursday, with Friday being reserved for conversation classes. 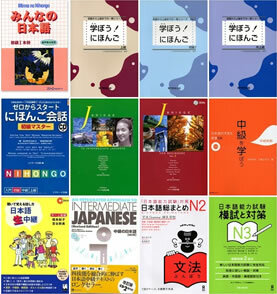 Our curriculum uses 学ぼうの日本語 as a base, but incorporates material from other textbooks, too. Additionally, DVDs, CDs, and other non-textbook related supplemental materials may also be used as requested or required. Our focus is not on grammar alone, but also on learning Japanese that can be used in everday life. In order to effectively improve language skills within a short period time, we actively aim to introduce new vocabulary, expressions, etc that apply real-life situations. The aim of this course is to improve listening, speaking, reading, and writing skills in a one-on-one environment. Classes are customized to fit your personal goals, and are a great way to improve specific weaknesses. Recommended for those wishing to learn at their own pace, and/or maximize student-teacher interaction. Course textbooks are selected according to skill level and student request. Additionally, should you have a specific material you would like to use in class, such as movies, manga, music, novels, etc., please let us know and we will do our best to incorporate it into your curriculum! Working Holiday Lessons go beyond Standard Course Lessons to include skills required in the workplace. In addition to a Standard Courses' curriculum, the Working Holiday course will also hold classes on proper job interview ettitquette, as well as resume writing skills to work in Japan. In addition, WAHAHA will assist with gathering information through recruitment and government agencies to help those who are interested in finding a position in Japan! WAHAHA can help every step of the way; including with phone and email inquiries to prospective employers! >>For further details, please visit the Japanese Ministry of Foreign Affairs homepage for more information about the Working Holiday program.